You can also support farmworkers and domestic workers fighting sexual harassment in their workplaces and get your community registered to vote. 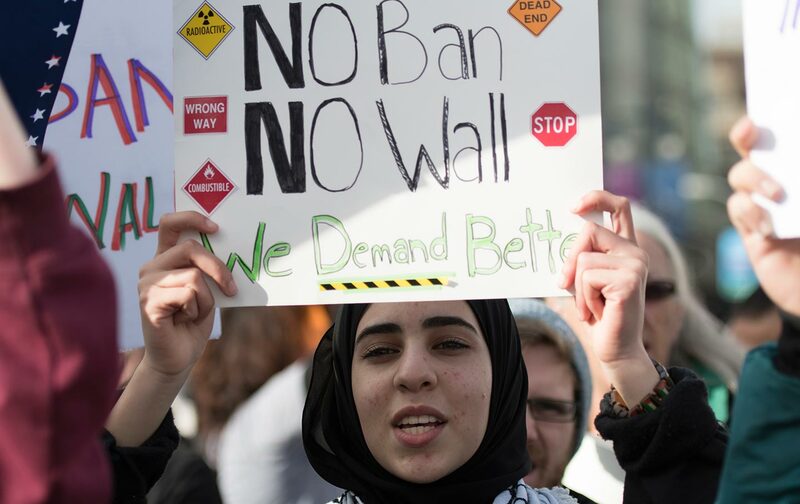 This week’s Take Action Now looks at the victims of Trump’s Muslim ban, farmworkers and domestic workers fighting sexual harassment in their workplaces, and tools for getting your community registered to vote. In the run-up to tomorrow’s Supreme Court arguments on President Trump’s Muslim ban, the ACLU has collected stories from people whose lives have been upended by it. They include parents unable to visit their children, married couples forcibly separated, students torn between their studies and being able to see their family, and grandparents who’ve never met their grandchildren. Read these heart-wrenching stories, then share them through Facebook, Twitter (#NoMuslimBanEver), or over e-mail. Today, over 100 farmworker women and domestic workers will meet with members of Congress. They traveled to the capital as part of a campaign led by the National Domestic Workers Alliance and Alianza Nacional de Campesinas to demand that lawmakers expand sexual-harassment protections that currently exclude workers in their professions and leave many vulnerable to harassment and abuse. Join the campaign by writing a letter to Congress echoing their demands. With special elections in Arizona and New York today, 2018 is already shaping up to be a critical year at the polls. Make sure your community’s voice is heard by using Indivisible’s Voter Registration Guide. The guide includes directions for Indivisible’s online voter-registration tool, ideas for places to register voters, and advice on how to talk to people about voting. Check it out here and then get started.